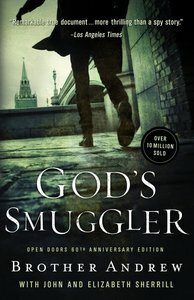 About "God's Smuggler (Expanded Edition)"
Brother Andrew began his work in 1955 as a one-man mission--visiting, teaching, and taking Bibles to Christians behind the Iron Curtain. That work has since developed into Open Doors International, a nondenominational organization with bases around the world. When not traveling, Brother Andrew makes his home in the Netherlands.